“This album has been built, robbed, destroyed, rebuilt, held up, postponed, cancelled, shelved, bootlegged, analyzed, exploited, slept on, supported, patiently awaited, and appreciated, long before you got your hands on this slim neat little package. 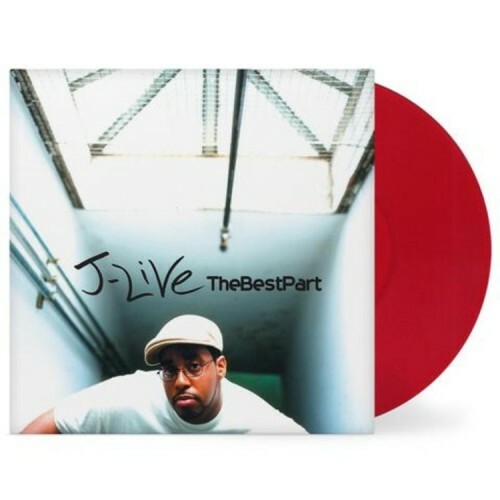 Originally intended for release in 1999, The Best Part was shelved multiple times due to label politics, until it was finally released in 2001, as J-Live points out in his prologue above. Now it’s getting the much deserved re-issue treatment in 2019, packaged in a wide spine jacket and pressed on red vinyl. With an All-Star production team featuring Pete Rock, Prince Paul, DJ Premier, DJ Spinna, 88 Keys & Grap Luva, along with J’s crafted and precise lyricism, this is one not to miss!